GS Rider: Summer Roadtrip 2013 begins! Since we took a short trip to Slovakia two weeks ago and it would be probably too exhausting to take another trip that would be even more time consuming, we decided to take pretty short one to already known place in Bavaria, Germany. 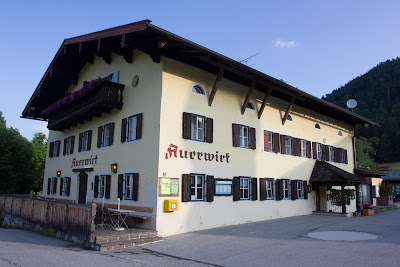 The place that I am talking about is Auerwirt gasthof that is located close to Berchtesgaden. We are going to spend there four nights and we will travel to interesting sites and places nearby (mainly Austrian Alps and Bavarian part of Germany). So that's the plan. Slovakia Roadtrip 2013 is on!